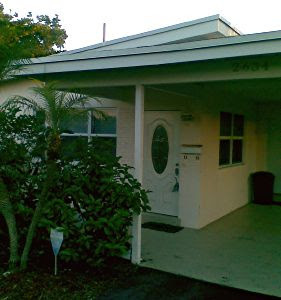 As I also mentioned on http://www.modernsouthflorida.com, a lot of local mid-century modern homes are messed up and in need of de-renovation. They suffer from what could also be called a cob-job: like kernels on a cob, everybody subtracts, changes or adds piece by piece, without concept or longterm vision. Botched renovations with wrong colors, wrong materials, wrong shapes, wrong dimensions... the list for possibilities to go astray is long. And people invent new ones all the time. Do you see the problem I have with the front door? Another good example is a listing in the Victoria Park section of Fort Lauderdale, a 2/1 design by John Crowell on a corner lot with room to expand. It has good details, including clerestory windows and a real coral wall, but did someone ever ruin the appearance of that house! It used to be pale yellow, not quite convincing but not totally offensive either, if you overlooked the front door. 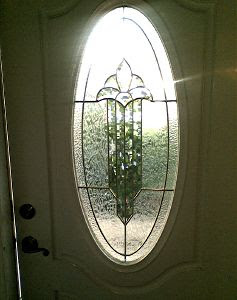 But at some point during the long and fruitless listing period with several Realtors over several years, someone decided that dark-brown would be a much better color to match that red front door with the fake lead-glass insert. And so they painted away. Now it looks like a sorry pile of... of... I don’t know. It needs a buyer with a vision. Or someone with enough taste to buy it and hire someone with a vision, so it can be brought back to modernist life.